?Jami Sieber plays music on electric and acoustic cello with a passion that translates into soul-baring poetry.? - Richard Klecka, Conscious Choice Magazine ?In Jami Sieber's hands, the cello becomes a statement for longing and freedom, for unbridled expression, and a prayer to tenderness that encompasses every emotion.? - Lloyd Barde, Music Editor - Common Ground Magazine Electric cellist and vocalist Jami Sieber reaches inside the soul with compositions that are contemporary, timeless, lush, and powerfully evocative. ?In Jami Sieber's hands, the cello becomes a statement for longing and freedom, for unbridled expression, and a prayer to tenderness that encompasses every emotion.? Electric cellist and vocalist Jami Sieber reaches inside the soul with compositions that are contemporary, timeless, lush, and powerfully evocative. Her style of performance has been recognized internationally. An innovative musician, Jami's music moves beyond the surface, seeking and re-seeking her truth by creating musical bridges and connections, committed to doing what moves her and inspiring listeners with her honesty, musical prowess, and humanity. Her life-long commitment to the environment, social justice, and the healing arts is at the heart of her music, reflecting a deep dedication to the arts as a medium of exploration and awareness of the interconnectedness of all beings. Jami is a performer that makes transformation appear simple, taking a traditionally classical instrument and morphing it into the source of a multi-dimensional range of expressive works. In the 28 years since she began performing professionally, Jami has always done something unique - employing electronics and looping techniques to create sounds never before associated with the cello. Her music transforms from the deepest stillness to moving melodies and rhythms that light the soul on fire. Jami's musical path moved from classical to folk, to rock/pop where within her popular band ?Rumors of the Big Wave?, she garnered the coveted Northwest Area Music Association (NAMA) Award for Best Rock Instrumentalist. Since launching her solo career Sieber has entered into dynamic collaborations with an extraordinary spectrum of dancers, actors, poets, visual artists, improvisers, vocalists, and instrumentalists that span the globe. Her compositions have been used for film, ("Queen Of The Sun", "Climb Against The Odds", "Jews And Buddism", "Hope Is The Thing With Feathers"), theatre ("Orpheus", "TS Crossing") and the popular video game - "Braid". This sometimes ethereal, sometimes hard-edged, musician has earned rave reviews throughout Europe, Asia, and North America, having been an invited guest artist in China, Russia, the Balkans, Italy, France, and Thailand. Investigate Jami's recordings and you will be captured by her creativity and imagination as a writer, lyricist and instrumentalist. Each recording is a sonic journey exploring the breadth and magic of the acoustic and electric cellos, with compositions that will open the heart, defy the mind, and, at times, inspire body and spirit to dance. Jami's independently produced recordings include: "Unspoken: The Music Of Only Breath" (2008), "Only Breath" (as Jami Sieber & Kim Rosen) (2007), "Hidden Sky" (2004), "Second Sight" (1998), and "Lush Mechanique" (1994). Victory Music says, ? ?these musical paintings hang, framed in her own passion and dreams. If you've ever taken a journey of the soul, be it to another place or your own backyard, this music will play back every scene.? Electric cellist and vocalist Jami Sieber reaches inside the soul with compositions that are contemporary, timeless, lush, and powerfully evocative. Her style of performance has been recognized internationally. 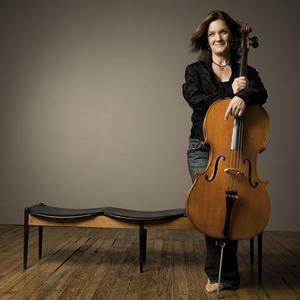 She is a celebrated pioneer of her instrument and received the Northwest Area Music Association (NAMA) Award for Best Rock Instrumentalist, no easy feat for a cellist. Jami's playing style grew out of her childhood classical training and has expanded over the years to embrace jazz, folk, rock, improvisational and avant garde music. She has guest artist in a variety of musical settings that have taken her to China, Russia, Croatia, Kosovo, Bosnia, Italy, France and most recently to Thailand where while working on a film score she had the most enriching experience of improvising with the Elephant orchestra outside of Lampang. She has toured internationally with Rhiannon (jazz vocalist), Jennifer Berezan (singer/songwriter), Ferron (singer/songwriter), Kim Rosen (poet).